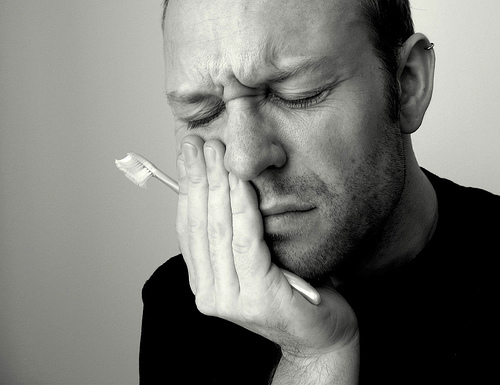 Having tooth pain can be debilitating. The pain can radiate up through your jaw all the way up to your ears, making it very difficult to go about your daily life. Most issues come from untreated cavities, which can get progressively worse with time. Once a cavity has reached deep enough into the tooth, it may be necessary to conduct a dental root canal. This is something that can take time, but it is also the only way to stop the pain and save the tooth. But how do you know when you are in need of a root canal? We have some signs to look for listed below. This is probably the first sign you will have that you might be in need of a root canal. Most people think that the pain stays the same from the moment it starts, but it can actually vary quite a bit. The pain can get better or worse throughout the day, with lots of people experiencing serious pain when they try to sleep. Some do not even experience very much pain, just mild discomfort that does not go away. You may also notice that when you eat or drink substances that are hot or cold, you feel discomfort. Sometimes, this can even be the first sign that you need to consider a dental root canal. The sensitivity can be mild or it can be bad enough to prevent you from eating or drinking the things you love. The pain can also linger for a while after you are done eating or drinking. Another sign that you may be in need of a root canal is if the tooth starts to get darker. It can even get a gray tinge that you cannot scrub out. You may also see darkness on the gum itself, if the infection has spread. Take the time to visit your dentist as soon as you notice this to avoid the pain getting worse. If you notice that your gum is swollen, especially in the area of the tooth that is causing you pain, you will probably need a root canal. You may also see a pimple-like nub on the gum underneath the tooth, though this is less common than swelling. As soon as you notice this, reach out to your dentist to get started on the root canal procedure. The last thing you want is for the infection to get worse. A clinic like Wohrman Dental Group can help you with root canals and all manner of dental emergencies. Take the time to speak with a dentist to see if the symptoms you feel point to the need of having a root canal. Take notice of the level of pain you are feeling at the moment and whether it gets worse at night, and also notice if you have sensitivity to hot and cold substances. With a good dentist, you will be free of pain in no time at all. ← Why Should You Choose A Locally Owned Roofing Company?